Traveling to Portland is great (and our airport has been rated #1 for the 3rd year in a row by Travel + Leisure). There are so many things to do in the city and suburbs when you visit, but if you’re looking to get out and do something less “hustle and bustle,” you may consider a frugal day trip. You can have a great time on your travels by doing a bit of planning and even spend less. 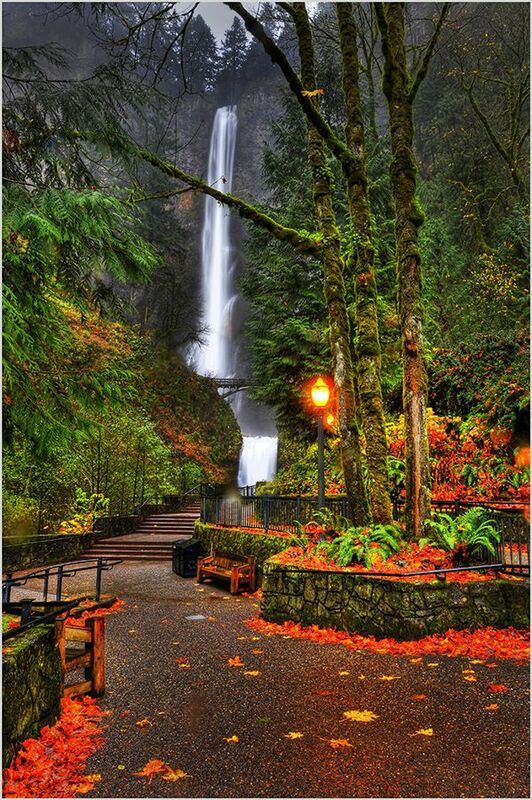 Multnomah Falls – An hour drive east of the city will take you the second highest year-round waterfall in the United States at 611 feet. The drive on I-84 is a beautiful one next to the Columbia Gorge. Once you arrive, you can park for free and then admire the falls from the ground. To get a closer view, you can hike to the bridge and take the obligatory photo. For those who are more adventurous and brought their good walking shoes, hike the remaining mile to the top of the falls to get a totally new point of view. After your exploration of the falls, have lunch at the Multnomah Falls Lodge, browse the gift shop, wander the visitor’s center or get a cup of coffee from the kiosk out front. 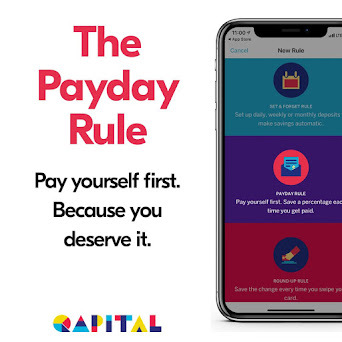 There’s so much to do while keeping most of the money in your wallet. 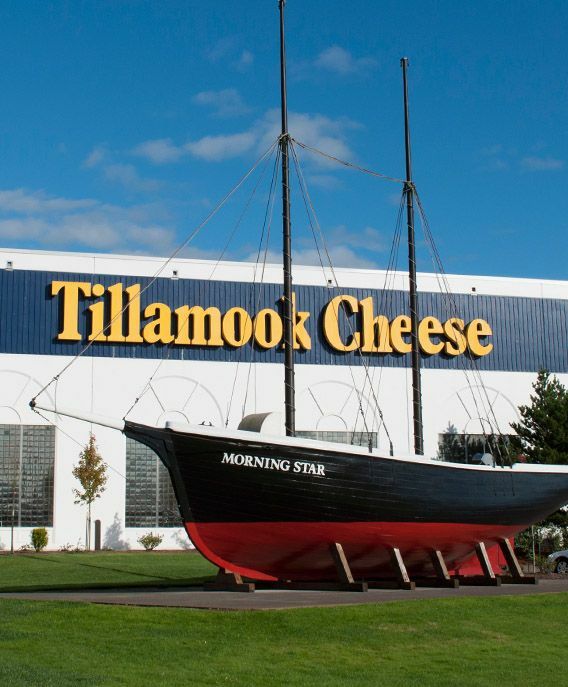 Tillamook Cheese Factory – Take a trip to the coast and make a pit stop at the famous Tillamook Cheese Factory. Admission is free for you to take a self-guided tour and watch how cheese is made. Nearly one million people visit the factory every year, so you know it’s a great tourist attraction. Bring your camera, some comfortable shoes and your appetite, because the 30,000 square foot visitor’s center has cheese and ice cream to sample and purchase. Tillamook makes over 40 flavors of ice cream, but you can’t get all of them at the grocery store, so the factory is a great place to try any of them. Like what you tasted? Get a cone or buy an insulated bag to take any ice cream or cheese you loved back to your hotel. If you’re really hungry, The Farmhouse Café is on-site for actual meals. Hit up the gift shop for other fun goodies. Oregon Garden and Gordon House – South of Portland you’ll find Silverton. It’s home to the only Frank Lloyd Wright-designed house in all of Oregon. For $7 admission to the gardens and $5 for a tour of the Gordon House, enjoy both remarkable and historical architecture and a variety of plants and flowers. 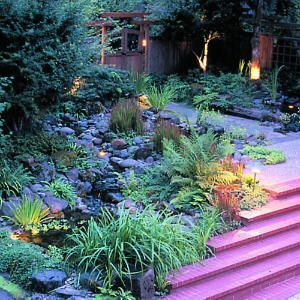 Multiple gardens are grouped together to form the Oregon Garden demonstrating the diversity of the plant-life in Oregon. The gardens also include gift shops, events, historical sites, activities and even a resort for those wanting to stay in Silverton and experience more that it has to offer. Hood River – Only an hour’s drive from Portland, Hood River sits right along the Columbia River Gorge. With beautiful views of Mt. Hood, you’ll also find plenty to do in and around this little town. The winds whipping through the Gorge provide ideal conditions for kite surfing and windsurfing and this area has become known as the Windsurfing Capital of the World. You can rent equipment for both activities – as well as for kayaking and sailing – take lessons or sit along the shores and watch others practice or even participate in windsurfing competitions. The area is also home to many orchards and vineyards. Spend your days wine tasting or picking fruit, such as apples, pears, cherries and peaches, or take a ride on the Mt. Hood Railroad’s scenic route. 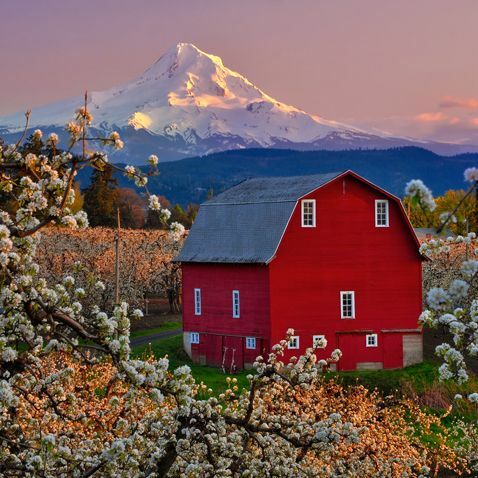 Cottage Grove – Oregon has no shortage of beautiful scenery, but a romantic drive through the country never hurts either. Two hours from Portland is Cottage Grove where you can drive the Covered Bridge Tour. 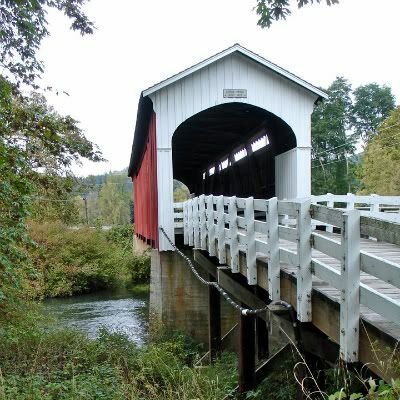 This loop has six of Oregon’s historic covered bridges, which can be driven in a few hours. The route is open all year long and provides picture-postcard views. Stop for more historical architecture in the city of Cottage Grove, with buildings dating back to the 1920s, and a bite to eat if you haven’t packed a meal for your road trip. Portland is a great family-friendly destination, as well as one for a couple’s getaway. Not only can you enjoy all the benefits of a metropolitan city, but also the desert, beach and mountains all within close proximity. It also a very budget-friendly destination if you know where to look. Want to know more cool things to do here? Check out my 48 Hours post.